Perfect Experiences carefully curates quality vacation rental properties and local experiences to help you get the most out of your dream vacation. Perfect Experiences offers personally inspected quality vacation rental apartments and villas and the best local experiences to create your dream vacation in Paris, London, Italy, Provence, Normandy and Bali. 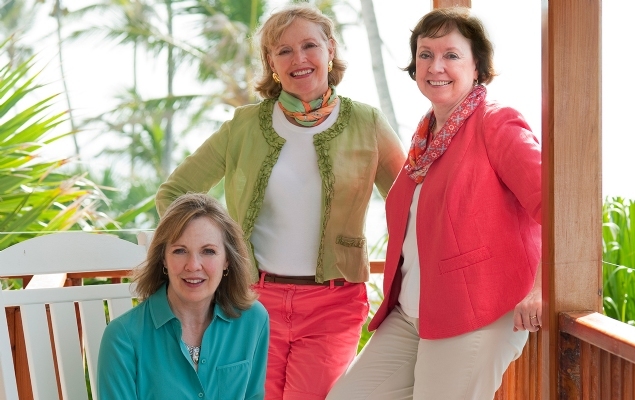 Founded almost twenty years ago by sisters Madelyn, Lisa and Pat our company was born out of our love of travel, having traveled extensively while growing up as part of a large Air Force family with frequent overseas assignments. We loved traveling and living overseas and wanted to share those experiences with others. 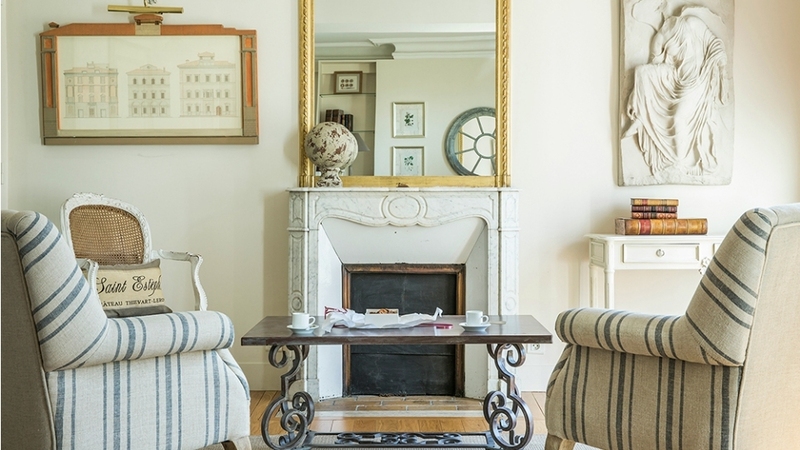 We began with one charming apartment in Paris in the 1990’s and quickly grew, becoming Paris Perfect, Italy Perfect and London Perfect Vacation Rentals. Joined by our team of excellent staff we tirelessly search for and inspect vacation rental properties, accepting only the ones that meet our quality standards, so guests are assured of a nice place to stay and an overall great vacation. Topping off the vacation rental experience, Perfect Experiences provides a hand-picked selection of activities to help travelers get the most from their stay, whether it’s a cooking class, a wine tasting, a sightseeing tour, restaurant reservations, a private driver or an insider's perspective of the local farmer’s market. Based on our in-depth knowledge of each location where we offer accommodations, Perfect Experiences works with select partners to offer tours, courses, events and concierge services to make planning your stay at one of our vacation rentals easy. Our list of resources is extensive and our team is here to help you. By booking a Perfect Experiences property directly with us you’ll avoid costly fees and the assurance that you are working with experts who can guide you every step of the way to ensure you get the most out of your stay in our wonderful vacation properties. Led by sisters, Madelyn, Lisa and Pat, each brings her own perspective to Perfect Experiences. A former investment banker Madelyn recognized early the demand for beautiful, luxury vacation rental properties and set her sights on Paris, where she met her husband Philippe. She started Paris Perfect in 1999, followed by London Perfect. A few years later while on vacation with Lisa and family in Italy during the hottest summer on record she convinced Lisa to start Italy Perfect. For Madelyn, no challenge is insurmountable, whether it is remodeling a centuries-old hotel on Ile de la Cité to cramming a 50 pound carry-on bag into the overhead compartment, Madelyn is the indomitable creative force of Perfect Experiences. 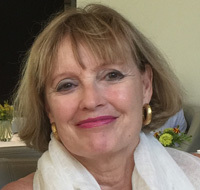 Lisa launched Italy Perfect in 2003, motivated by Madelyn who convinced her that the success in France and London could be replicated in Italy. Before launching Italy Perfect Lisa was the Director of Worldwide Corporate Relations Communications for Apple Computer. She is the youngest of the six (yes, six) Byrne sisters. Lisa global marketing experience and unerring eye can suss out a vacation property in a heartbeat, seeing the potential in a vacation property that many owners never imagined, having vastly improved our offering by envisioning what is possible and then making it happen. She is a marvel at organization and has totally transformed properties in as little as 24 hours with just a little creativity. She is hopeless when navigating the backroads of Tuscany, but has a photographic memory when it comes to recalling the exact location of almost any retail store in every city she has ever visited. A technology marketing executive by background and a history geek at heart, Pat is the brains behind setting up systems and processes to automate tasks and organize information. Lisa persuaded her to leave high tech behind in 2006 to join Italy Perfect. Perfect Experiences gives her so much satisfaction: learning about guest interests and travels, going the extra step to make things work out for her clients, explaining to an owner a requirement that seems very strange to Italians, chattering in her second language, and traveling around Italy on our inspection adventures. She pursues fascinating back alleys of history with interests in topics like Etruscans and Mithras. She has tracked down and seen every Caravaggio painting and every obelisk in Rome. Perfect Experiences has a wonderfully international team of vacation rental experts and that include destination experts both in-country and around the world, reservations department, marketing and technology experts, many of whom have been with us for over 10 years. Our office in Paris has long-time employees who handle the management of the Paris properties. In London and Italy we work with local greeters and property managers who adhere to our high standard of service. Lisa: Anything at La Reggia degli Etruschi in Fiesole just outside of Florence. Ask for a table with a view. Madelyn: The Paris flea market; I could spend days there…and I do! Lisa: Put your shoes thru the airport security conveyor last so that you don't forget the rest of your stuff. Pat: When your flight gets cancelled, get on the phone with reservations; you may have your situation solved before you reach the harried service desk.